Wahoooo! 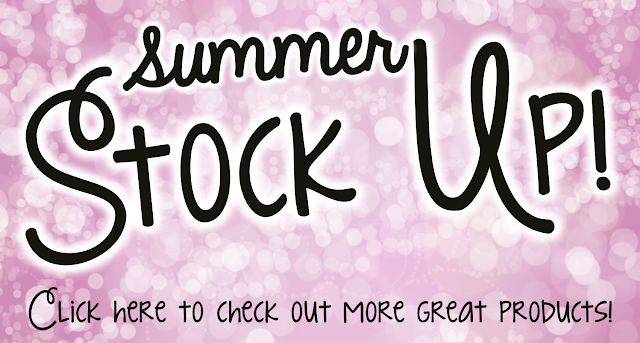 It is time for the Summer Stock Up organized by The Primary Gal! Lots of teacher bloggers have come together to share some of our favorite resources to get you ready for the new school year. It is never too early to start getting ready! I feel the need to explain about the category and the product section here. My post is suppose to be about a reading related product. But, I am about to talk about my back to school postcards. They ARE related...promise. 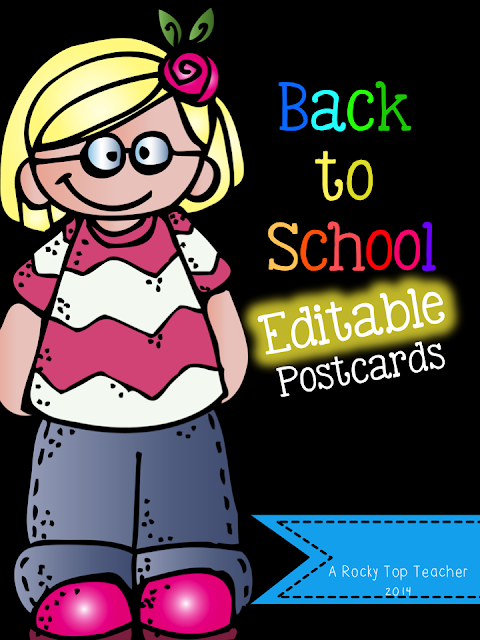 YES, the product I am posting for the summer stock up IS my back to school postcard pack. I love sending notes to my kiddos at the beginning of the year welcoming them to our class. You can read all about it here. The postcards in my store are editable and you can make them say ANYTHING you want. While looking at this resource a few weeks ago, I started thinking about others ways that I could use postcards with my students. The idea of sending home postcards to students discussing books that we are reading in class, praising them for their hard work, and sending book suggestions came to me while I was getting the postcards ready for the new school year. The thing is...kiddos LOVE to get mail with their name on it. It is a great way to establish a positive relationship with your new students. I am also constantly trying to find new ways to spark student learning outside of the classroom. I am going to use the blank postcard formats in my back to school postcards pack to reach out to students about reading in our classroom. My goal is to send one to every student at least twice throughout the school year. I am going to have around 50 kiddos in my 5th grade ELA/Social Studies classes. The messages may be something as simple as-" Marcus, I was really impressed with your explanation of Ivan and his transformation throughout the book during our literature circle this week. Thank you for your insight!" Or, maybe I will suggest another book. "Kristina, I am so glad that you are enjoying The Tiger Rising by Kate DiCamillo! Did you know she has written other books? My favorites are The Tale of Desperaux and The Miraculous Journey of Edward Tulane." I get so excited when I can use resources in multiple ways! 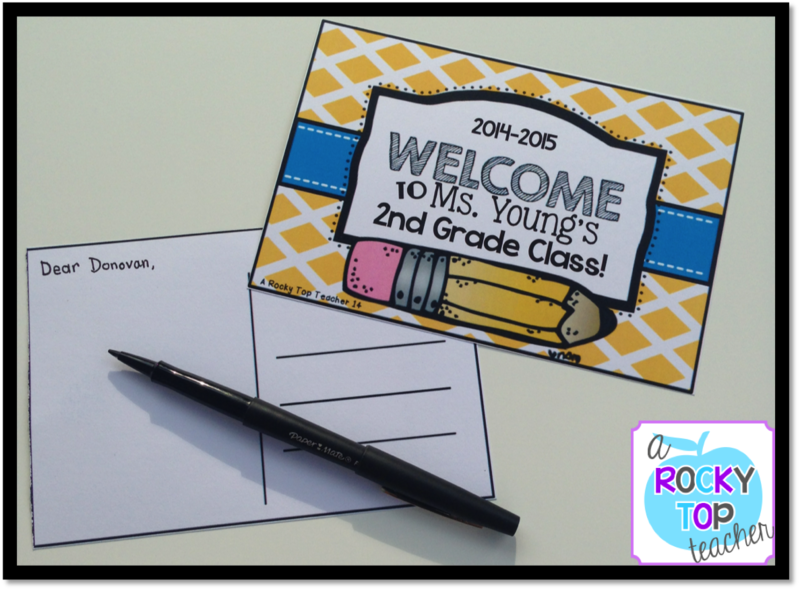 You can check out my back to school postcard pack here(they are on sale for a STEAL) and don't forget to head over to my Facebook page to grab a postcard freebie!